The Fall 2017 Season at the Glema Mahr Center for the Arts--a beautiful performing arts venue in Madisonville, Kentucky--has been announced. There are eleven scheduled performances, and it's a great season lineup! There's so much more to the Glema than one sees in the brochure, though. 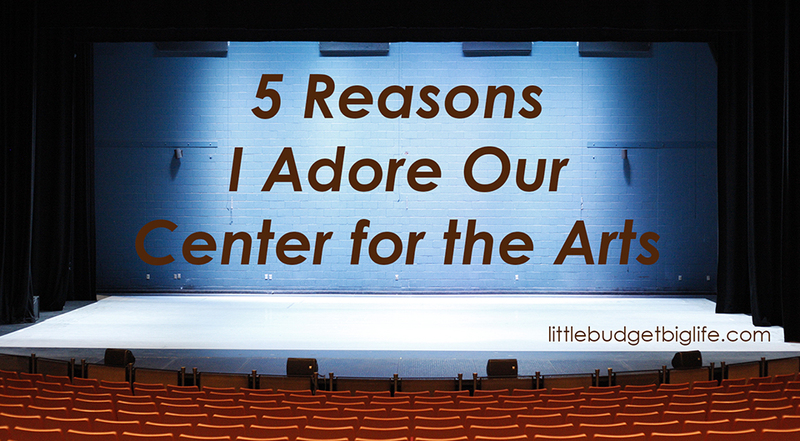 In addition to the amazing talents that are brought to our little city, here are five reasons I adore the Glema. - They support community theater. Twice a year, the Glema hosts community productions. In recent years, one has been a musical and one has not; there have been comedies, dramas, and dinner theater settings. And, not only do we get great theater, but we also get the fun of recognizing some of the performers. - They host local high school productions. I remember staging high school drama club productions in the gym, in the cafeteria, and in the lobby. We certainly made memories to last a lifetime, but the year we got into that auditorium... well, I can't speak for the audience, but for those of us on stage, it was magical. I've had the pleasure of attending the last few high school productions here, and I've been impressed by the dedication of the students and the quality of their performances. Along those same lines, the Glema is also utilized by a variety of local organizations for band and choral concerts, dance recitals, graduations, presentations, conferences, workshops, and more. - Education is a priority. Periodically throughout the school year, daytime shows geared for young audiences are available for school groups to attend. In the past couple of years, these have included a variety of subjects from a bright and cheerful version of Alice in Wonderland to a heart-wrenching rendition of John Henry, and from a modern dance spectacle to Julius Caesar. These events are open to homeschooling families as well, and admission is less than a typical evening performance. 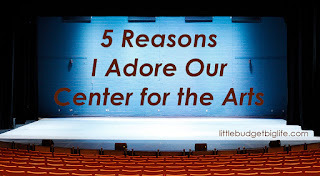 I have shared how we utilize the fine arts center in our homeschool before; if you're interested, you can read that here. Their Summer Arts Academy allows students ages kindergarten through high school--along with their peers--to learn more about many aspects of the stage, from auditions and rehearsals to choreography, costuming, and performance. Their time on campus--two weeks for middle and high school students and one week for elementary school students--culminates with a full stage production that is free and open to the public. The cost of the day camp is affordable, and tuition assistance is available. - Ticket prices are affordable. After living in bigger cities like Nashville and Atlanta, I was bowled over when I saw ticket prices for some of the shows at the Glema. Five dollars? Really?! Of course, admission to some performances is more (I think I've seen up to $40 myself), but there are many shows in the $5-$20 range, and discounts are frequently available for children, students, seniors, and groups. Side note: I know I've said it before, but I think tickets to a live performance make a great, clutter-free gift that comes with bonus memories to last a lifetime. - It's not just for performing arts. There's an expansive gallery in the front of the building that is open during their regular business hours. There is no permanent collection, but rather a rotating display. Sometimes the artists are local--including an annual student show sponsored by a local civic organization--and sometimes they're not. Admission is free. Honestly, I could go on and on. I love this place. My family frequents the Glema, and if you're in the area, I encourage you to check out all that this beautiful facility and its wonderful people have to offer. If you're not sure where to start, visit their website--or, better yet, stop by the box office--to learn more about the Fall 2017 lineup!